Over the years we’ve been lucky enough to have some movers and shakers say some lovely things about us. Here’s a snapshot of what they have to say. We always welcome press and bloggers to come down and review us – we love trying to hit all the spots, it keeps us on our toes. Over the years we’ve been lucky enough to have some movers and shakers say some lovely things about us. Here’s a snapshot of what they have to say. "It's all about street culture at this Essex Road bar - one of three London venues from the Barrio group. 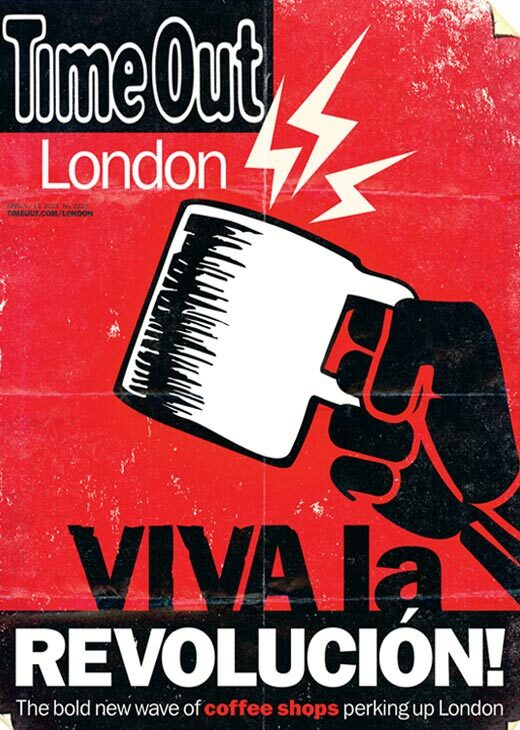 The vibe is influenced by urban art and music from some of the world's big cities - London, Lisbon, Miami, Mexico and elsewhere. Cocktails play a lead role here, not least during the generous happy hours...."
"It all began with a Samba parade, a VW van and some real pretty tiles; Barrio North opened its doors wide with Latin American flair, reaching out in style to those of a similar mind set." "No one knows how to party better than the South Americans. 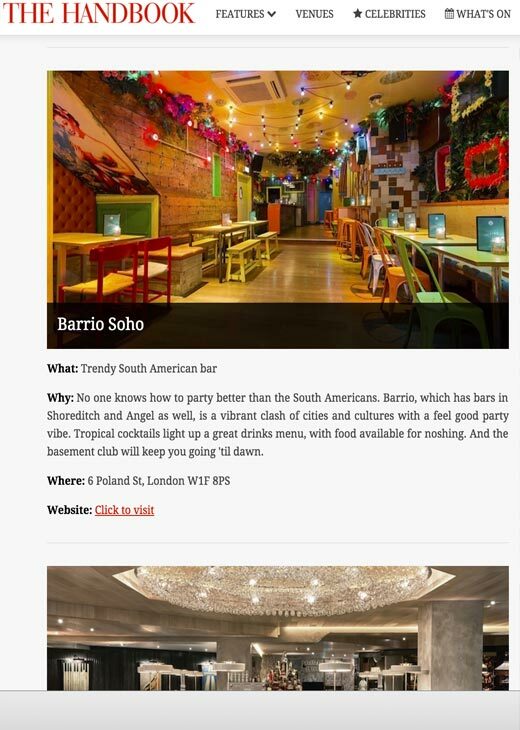 Barrio, which has bars in Shoreditch and Angel as well, is a vibrant clash of cities and cultures with a feel good party vibe. Tropical cocktails light up a great drinks menu, with food available for noshing. And the basement club will keep you going 'til dawn." 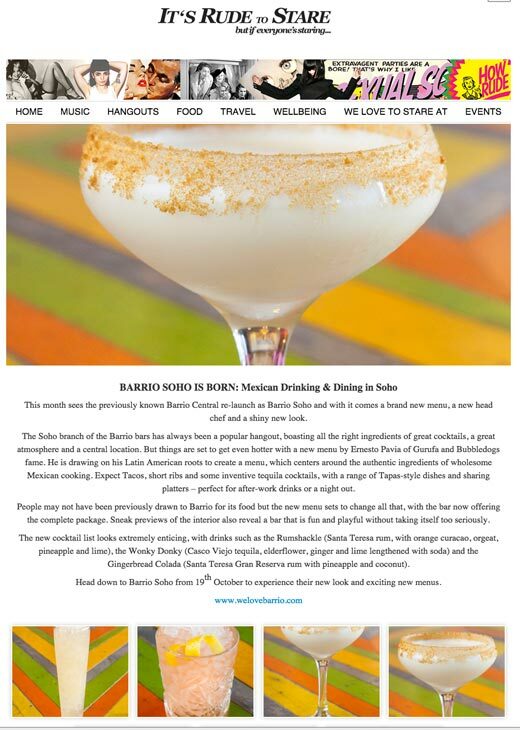 "The Soho branch of the Barrio bars has always been a popular hangout, boasting all the right ingredients of great cocktails, a great atmosphere and a central location. 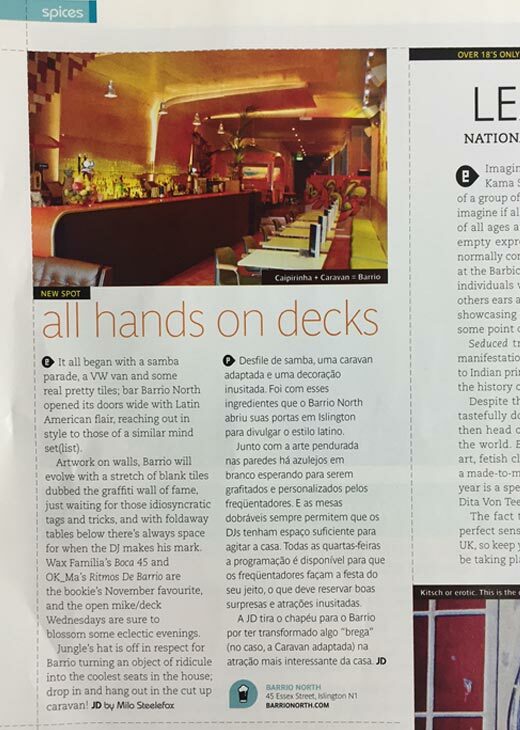 But things are set to get even hotter with a new menu by Ernesto Pavia of Gurufa and Bubbledogs fame. He is drawing on his Latin American roots to create a menu, which centers around the authentic ingredients of wholesome Mexican cooking."